The snowplow helps you solve problems related to snow covering the front of the house, sidewalks, and driveways quickly and effectively! From today no more shovel and effort, but only technology and innovation. Our catalog offers a good number of articles with different properties that will surely satisfy your requirements: the light electric snow plow is easy to operate, by battery or connected to the home network. 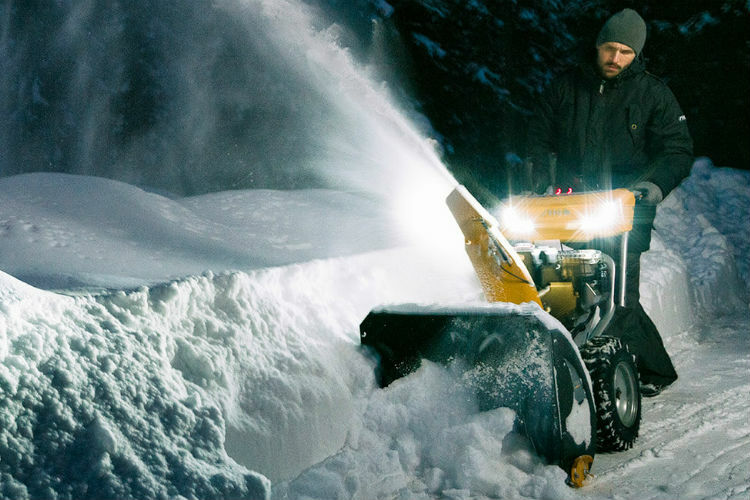 The gas engine snowplow is powerful, versatile, usable anywhere you need in complete autonomy. Snow plows with combustion engines are the most powerful, equipped with specific equipment and components made of high quality materials, capable of moving large quantities of snow or ice after a good snowfall!